Labrang Monastery, one of the six major Gelugpa monasteries, still preserves the most complete education system and institutions of Tibetan Buddhism. It is also a treasure house which houses inestimable Buddhist scripture rolls, paintings and other art works. Every dawn the sacred Morning Prayer marks the start of the Lamas assiduous practicing. 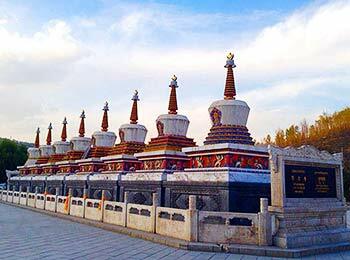 This private Lanzhou tour itinerary will lead you to explore the monastery. This 3-day Zhangye tour package will show you the beautiful Danxia landform of the Rainbow Mountains. 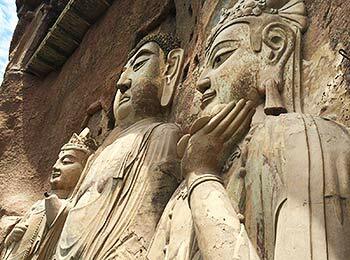 You can also stop by Buddhist Shrines like Giant Buddha Temple, Zhangye Museum, and Mati Temple Grottoes. 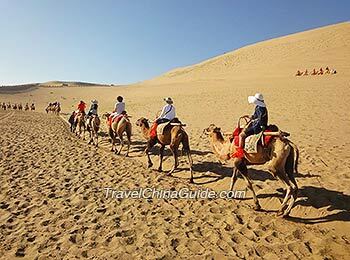 Set out for an ancient Silk Road tour from Lanzhou, via Zhangye and Jiayuguan, to Dunhuang. Trace historical wonders such as the Overhanging Great Wall, Tomb Murals of the Wei and Jin Dynasties and the Mogao Caves. 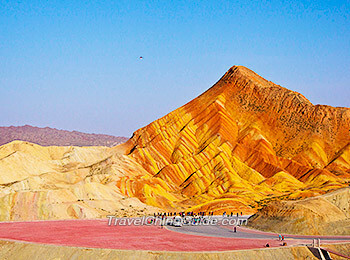 Admire natural wonders including Danxia Geological Park, Crescent Lake and Echoing-Sand Mountain. Tianshui is a city full of historical and cultural glamour. This 1-day tour covers essential attractions, including the mysterious Maiji Caves where you can appreciate Buddhist grotto arts, Fuxi Temple worshipping one of three mythological emperors of China, and the Ming-style Nanzhaizi Folk Dwellings. 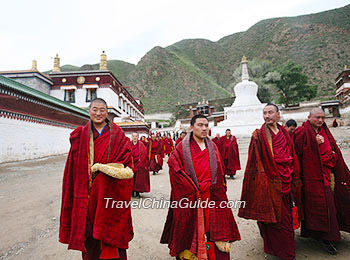 On this 6-day tour, we will take an in-depth look at Tibetan Buddhism and local culture by visiting grottoes and century-old monasteries. In addition, sightseeing at stunning Qinghai Lake will let you escape from the hustle and bustle of the city, which is a nice chance to embrace the freshness of nature. 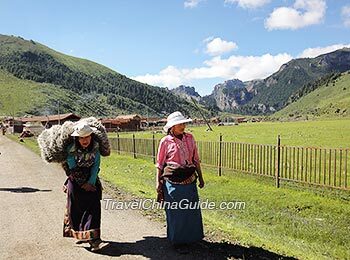 This 8-day odyssey tour covers the essential sightseeing spots of Sichuan, like Jiuzhai Valley and Huanglong Scenic Area, and Tibetan culture immersion in proximity of Labrang Monastery and Langmusi Monastery in Gansu Province. For more related tours, please click Hiking Adventure and Bicycle Routes. I will stay at Lanzhou first, then take a bus or a taxi to go to Liujiaxia reservoir, take a speed boat (?) When returning i would like to get down at Lianhuatai, to reach xiahe in the evening, is this realistic? When will you visit there? If you are not traveling during high season, I'm afraid that you could not find proper taxi from Lianhuatai to Xiahe in such late time. Yes. The lake is navigable in the month of May. Have fun! Hello! Since the Yellow River is with sucha hi-level, would you recommend me to visit the Binglinsi Buda Caves? I only have this week end left to do so. If so, Could you tell me how to get ther from Lanzhou City? Is it easy to move around without speakinng chinness? Have any ideo of the trasportation and entrance fees? Thank you for your help. Hi, you may take a bus at the West Bus Station to Liujiaxia first, which takes around 2 hours. Please get off at the station of Dam and then take a speedboat at Liujiaxia Reservoir to get to the destination, Binglinsi. The boat journey takes about one and a half hour. The entrance fee of Binglinsi is about CNY50 and the fare of Binglinsi Buddha Caves is about CNY300. I never heard that any special permit is required for foreign travelers tour in this area. Hi! I am coming from the Philippines and we are allowed to bring 15 pounds of handcarry plus laptop and coat free of charge then i have a connecting flight from guanzhou to lanzhou. Will the guanzhou airport consider my carry on baggage of 15 pounds plus laptop and coat free? pls help thanks. Hi, you need to show the philippines tickets and then it is ok to take your carry-on lugggage! And it is considered free.